This is two layers of pink and sparkling pink ribbons mixed into one great bow. The base is a pink grosgrain ribbon 7/8" wide topped with 2 pieces of sparkling ribbon. 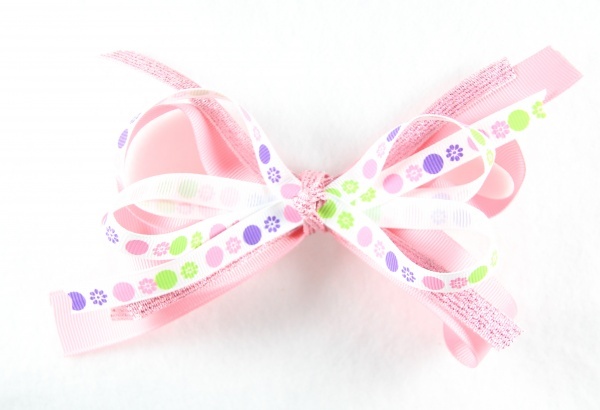 The top bow has 2 large loops with lime green, pink, and purple flowers and polka dots interchangeably. These layers are held together by the sparkling ribbon in a French knot and attached to a French clip.